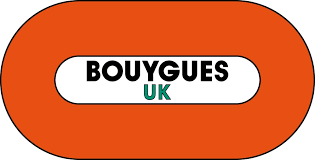 Bouygues UK is one of the country’s leading construction companies with a diverse portfolio of projects. Within the residential sector, Bouygues UK champions the “Design and Build” value proposition and in its continuing quest for innovation, the organisation has challenged itself to find efficiencies and establish a standard approach to managing design. With the help of Turner & Townsend Suiko, Bouygues UK set out to develop a model design programme as well as to identify the processes and behaviours required to deliver it based on Lean Thinking principles. Through personal interviews with members of Bouygues design, production teams as well as their key partners for Architectural, M&E and Structural design, we uncovered some of the barriers to effective collaboration. In a series of workshops we pieced together the challenges, both perceived and real that had been faced on the selected case project, bringing to life the issues that had been uncovered during the interviews. Prior to developing the solution the team received training in Lean Principles giving them ‘new glasses’to determine customer value and identify waste from a totally different perspective. This was delivered through training and reinforced with activities and simulations. Bringing together the total design team, both internal engineers and external consultants, they determined the high level design programme milestones for a typical housing project from the start of a project through to completing a design ready to commence construction. These milestones then created the framework for the team to start adding the detail of who and when activities should be completed and also critically the interdependencies between them. As this was quite an iterative process the team used sticky notes on a very large brown paper background. Once the team were happy they had captured what they believed was the most efficient programme it was passed to a planner to document and create the various links. With the optimal programme developed the team focussed on what controls and processes would be required to ensure the programme was delivered on time every time. The team identified a number of measures and review meetings that will be deployed in future projects. The product is a comprehensive, highly customisable and lean design programme. It clarifies the definition of the design stages and the standard list of deliverables associated with the key milestones of a residential project. Furthermore, governance structures and routines for underpinning the implementation of the model design programme were detailed. Furthermore, the leadership team has resolved some of the other themes that were uncovered during the interviews and workshops as part of continuing organisational development.